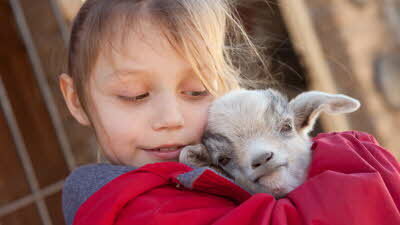 There's farmyard fun for the whole family at Longdown Activity Farm. Join in with a daily schedule of hands-on activities such as bottle-feeding kid goats and calves, and baby animal encounter. Lots of friendly farm animals to meet and plenty of indoor and outdoor play equipment too! Enjoy the amazing animals at this beautiful park with its fabulous adventure playgrounds. Follow the woodland trails to see wallaby, European bison, wolves, wild boar, Scottish wildcats, badgers, lynx, foxes, pine marten, polecats, owls and ferrets. 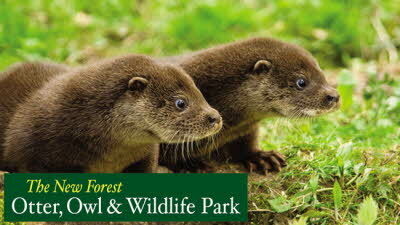 Meet friendly deer and playful otters, including the endangered giant otter and much more! Just spent six nights at this tranquil site. Ray and Venessa James, the new owners are a lovely couple. 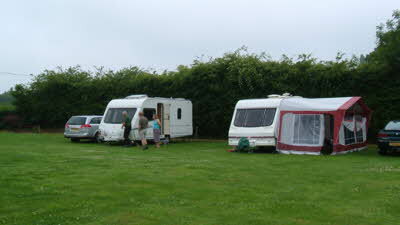 warm and friendly and keen to develop the caravan side of the business. As the name suggests, the place is predominantly a fishing venue consisting of a number of lakes as well as a stocked tackle shop and lakeside coffee shop with five hard standing lakeside pitched each with electric hookup. The facilities if basic, consisting of a separate male and female toilet and one disabled toilet and one shower cubicle, are spotless and the James have plans to improve these facilities. The site itself is a wonderfully peaceful and relaxing place, full of wildlife just outside your window. Just sitting, listening to the birds sing and watching all the different species come and go or the fish rising is just heavenly. Yes, we loved the place. If you fancy slightly more activity, why not fish or take a stroll around the site. Off site, you're only an easy short distance from the A36 Salisbury road or M27, so in easy reach of somewhere that will interest you. This site is well worth considering even as an overnight holt but I'm sure you'd want to stay longer. The good points: lovely peaceful setting alongside the fishing lakes which cannot be faulted if you accept it is a fishery and fisherman will at times walk over your pitch. It is very well kept and a delightful place to relax. 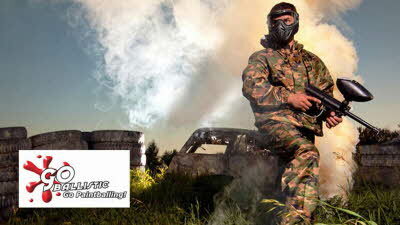 However for us the not so good points outweigh the good and this will be our first and last visit. The not so good points: The pitching for the lakeside pitches was very tight to say the least and although pitches were marked there was certainly less than 5 metres between units during our visit The facilities although kept clean the shower especially is very dated, cramped and in need of updating to justify the cost of staying at this CL. There appears to be no designated area for disposal of grey waste but the thing that discouraged us most of all from returning is the cost - £22.00 a night including EHU I think is far too high a price for a CL with such outdated facilities however pleasant a spot it is! My wife and I first stayed here in 2004 and have returned several times since. Last year my wife died so I went alone to see if I could still caravan on my own. I was made very welcome as always and managed to spend 2 weeks which gave me plenty of time to reflect and decide that yes I can do it alone. I have visited several CL's in the past but for me this is the best. John and Amanda made us very welcome to this great little site.Amenities were clean and warm and the site was extremely peaceful. Great fishing on site with all you will need from the tackle shop on site. We would highly recommend this site . A lovely little site with perfect place for the caravan. 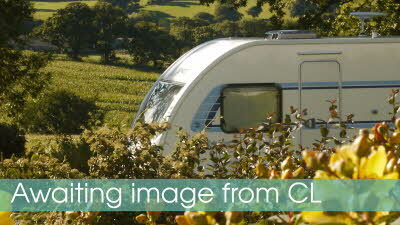 We looked directly over the lakes with only two other caravans around us. Great if you want your own space. Access to the site is easy and we were made very welcome by mine hosts (even offered a cup of tea). Toilet block could do with a bit of TLC. Security of the site is good with the main gates being closed at 7pm, so you know no unwelcome visitors/arrivals after then. Some lovely walks along the river bank. Would definitely recommend to anyone who wants a quiet stay with no hassle.